Blades Elementary – April 9th and 10th from 11 a.m. – 7 p.m.
West Elementary – April 2nd and 3rd from 11 a.m. – 7 p.m.
Jada Evans Selected to Represent Seaford High School. Sophomore Jada Evans will represent Seaford High School in the National Women and Girls in Sports Day on Wednesday, February 6, 2019. 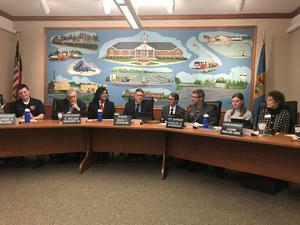 The senior class officers of the SHS Class of 2019 helped conduct a city council meeting at Seaford City Hall. Each officer had a council member as well as the mayor who he or she represented. It was great lesson in local government and an experience enjoyed by all! Educators shared in 6 words why they are in education and do what they do. These are posted on the Presentation Room windows facing the lobby. SHS Students Make Delaware All State Band!! Congratulations to Ged Pearson and Bernabe Roblero for auditioning and being accepted for the Delaware All State Band. A very special congratulations to Ged as he ranked 1st on clarinet in the entire state! SHS After School Program Begins January 22, 2019. We are offering the SHS After School Program, beginning Tuesday, January 22, 2019. The program will offer marking period grade recovery and preparation for the SAT exam. The program will operate on Tuesdays and Thursdays of each week from 2:45-4:15 PM. Students who are currently eligible for busing will receive transportation to the predetermined drop off points closet to their residence. If your child needs to recover a grade or would like SAT prep, he or she is encouraged to enroll in the after school program. Please return the completed application and the activities bus on the back of the application to the school counseling department. 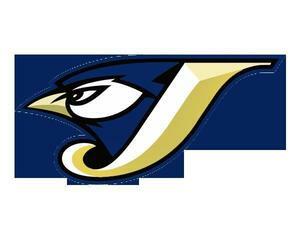 If you have any questions regarding the program please contact Mr. Giles at 302-629-4525 ext. 2535. SHS Class of 2020 Having a Pampered Chef Fundraiser. Prom season is just around the corner and we are gearing up to raise some money! Check out our Pampered Chef fundraiser on the schools Facebook page, and website. Please share with your friends and family. All order forms and money are due back to Mrs. Ricks no later than January 10th. Thank you for your help in supporting the class of 2020 to put on the 2019 Junior/Senior prom. SHS Spanish AP Class Promotes Multi-cultural Night. On December 20, 2018 SHS's AP Spanish class went to Georgetown to promote the The Seaford School District Multi-Cultural Night. 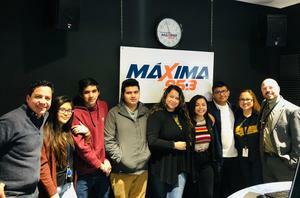 The students spoke on Maxima 95.3 and Power 101.7. The 1st Annual Seaford School District Multi-Cultural Night will be held a Seaford High School on Friday, January 4, 2019.